Czwartek godz. 12-14 w pokoju 214. Repozytorium GIT - programy w C/C++. 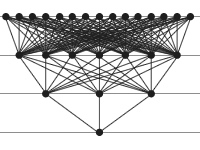 Naim Tuglu, Fatma Yesil, M. Dziemiańczuk, E. Gokcen Kocer, q-Riordan array for q-Pascal matrix and its inverse matrix, Turkish Journal of Mathematics, vol 40, (2016), 1038-1048. 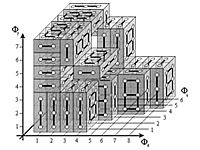 M. Dziemianczuk, On Directed Lattice Paths With Vertical Steps, Discrete Mathematics, vol. 339 (3), pp. 1116-1139, 6 March 2016. M. Dziemianczuk, Enumerations of Plane Trees with Multiple Edges and Raney Lattice Paths, Discrete Mathematics, vol. 337, pp. 9-24, 28 December 2014. M. Dziemianczuk, Counting Lattice Paths With Four Types of Steps, Graphs and Combinatorics, vol. 30:6, pp 1427-1452, November 2014. 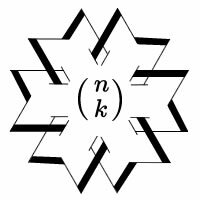 Naim Tuglu, Fatma Yesil, E. Gokcen Kocer, M. Dziemianczuk, The F-Analogue of Riordan Representation of Pascal Matrices via Fibonomial Coefficients, Journal of Applied Mathematics, vol. 2014, Article ID 841826. M. Dziemianczuk, A Combinatorial Interpretation of the Lucas-Nomial Coefficients in Terms of Tiling of Rectangular Boxes, JCMCC: vol. 88, pp. 225-235, 2014. M. Dziemianczuk, Generalizing Delannoy Numbers via Counting Weighted Lattice Paths, INTEGERS: Vol. 13, #A54, 2013. M. Dziemianczuk, First Remark On A Zeta-Analogue of The Stirling Numbers, INTEGERS: Vol. 11, #A9, 2011.